Embrace courses provides your organisation with a full elearning management system at a fraction of the cost you would normally expect to pay. 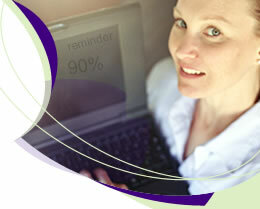 Using our system anyone in your organisation can create, and distribute via email or the internet elearning courses. As the system is hosted by us, there is no software to install or hardware to purchase. You simply access the system over the internet. All that staff require to access the system is a PC with an internet browser and internet connection. Imagine being able to distribute courses across multiple sites and countries. Your training departments can track, for each member of staff, courses enrolled on, courses taken, time to complete, score and did they pass or fail. Courses can be taken at a staff member's desk or at home freeing up training resources such as trainers and training Rooms. Once a course has been created once, it can be used many times. Staff can be arranged into an unlimited number groups enabling for group averages and group comparisons to be made between staff. For example how did team A's average score compare with team B ? Or how did Office A compare to office B ? This can be helpful in identifying above or below performances across teams indicating management or training issues. As you can set a pass mark for each course, you can quickly identify those staff who have not met the required standard and with one click re-enrol them on a course. Over time your organisation will build up a skills matrix of its staff validated by course results. Companies who have outsourced work will also be able to track the outsourcers staffs abilities and progress over time. Click to try a demo course.